Goodbye 2011 | One Last time. So 2011 is gone… Wow Here’s Goodbye to one of the most “Hectic” Years of my life. A lot actually Happened in 2011 for me – I Think the last couple of months were actually the most busiest months of the year to be honest, in terms of it all coming to an end ( together!) before Christmas and new years ! As I mentioned There’s been a lot of Farewells, girls night outs and the new one – a love ! I’ll share it with you now so we can hit off 2012 with a spark ! So every year on my birthday I get crazy about making a wish – I have to make a wish, It’s just my thing– Its dumb because it probably never ever comes true but in case that one time it does – I always do ha-ha ! I usually make the same wish – typical – “I hope I find a normal boyfriend, I hope I don’t die lonely, I hope I find love, I want it to last and be perfect and blah blah blah” and other than wishing for that I also wish for a successful career, beautiful life and and a great year la la la. So having lost a little bit of hope in the love sector I said to myself you know this year I’m not going to wish for that, there is no point in wasting my wishing minutes on something as stupid as that ! 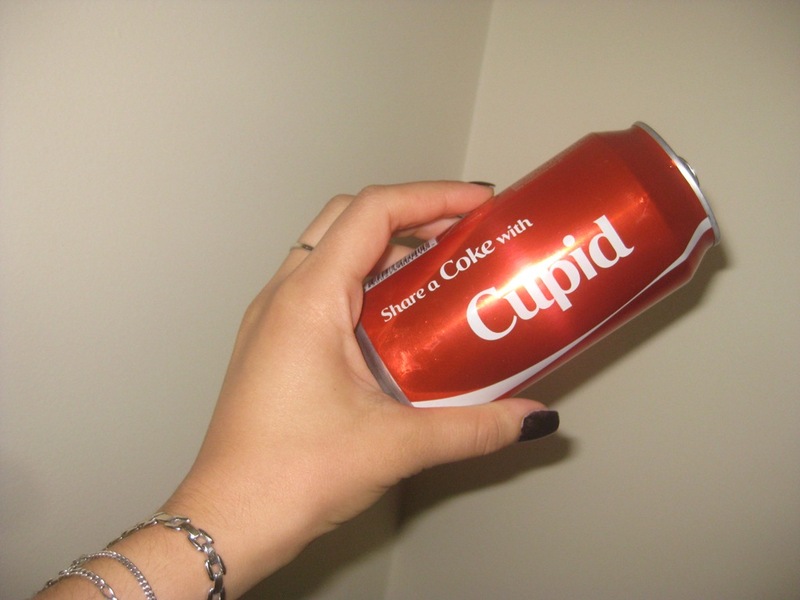 A few weeks before my birthday I was sharing a coke with cupid, and I said to him “you know I didn’t wish for love for my birthday this time but because we’re having a friendly dnm here do you think you can adjust your aim a little and maybe hit a bullseye on someone – just one person – who will be great for me ?” And He said to me “you know I think If you speak to my friend Santa pretty sure he can do seal the deal for you” – So i Shared a coke with Santa and he said “you know I’ll give you one wish – any thing” –and I said “all I want for Christmas is what I didn’t wish for this year, that I wish for every year – a click, a normal person that I can look to and say hey you’re my partner and I’m very glad you’re here with me and we can do this thing called life together, Someone who is strong enough to carry not only me but themselves – ( to be, at the same time, calm and collected when I’m not !)”. A few Weeks after that I Took a risk and one of those “Rhaya-say-yes-to-a-break-every-now-and-then-…please!” – I gave it another chance, one last chance and kaboom ! The start of December and I’m in a relationship – it’s almost been a month and I’m really happy ! It just magically happened, it’s funny how when you don’t wish for it and when you don’t want it so much, that it just happens – I don’t even know how it happened but it was the choices I made – the taking breaks and taking it easy thing – its how it all fell into place. By giving things a chance I was able to fulfil one last thing I’d been longing for. The great ending of 2011 has rolled into 2012 and I quite like how It’s going and where It’s at – I think I’ll look at it positively and say its for the better and that everything that I’ve been through and experienced both good and bad was worth it. Here’s a big one to 2012, I hope you’re a great year ! One definitely to remember ! One last time | 2011 I’d like to say a sarcastic thankyou for all the hard times and suffering you put me through and a heartfelt thankyou for the beautiful memories, dnm’s, and the happy ending you gave !